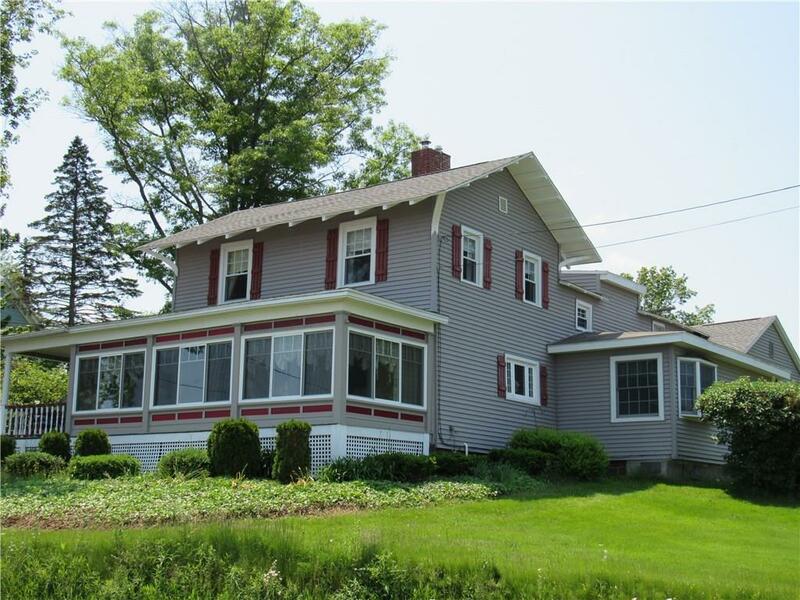 5252 Ramsey Road, Ashville, NY.| MLS# R1171127 | Chautauqua Lake Real Estate Services. Informed, Professional Real Estate Information Serving Buyers and Sellers Interested in Lake Chautauqua Real Estate and Chautauqua County NY Real Estate. Rick and Julia McMahon Real Estate Advantage Since 1992. Beautifully Maintained restored Victorian period home with This property offers updates through out including a lovely kitchen with breakfast bar. Spacious living area including formal dining area and a 3 season sun room with panoramic views of the lake ! Original wide plank floors and beams keep within the charm of this property. Situated on 2.8 acres that includes, Herb garden, Grapes, ,Blueberries, Raspberries, Mulberries and Apple and Pear trees . with 40 x 40 barn and 2 car detached garage . Minutes to Chautauqua institution , shops and restaurants. Attached is a list of all the improvements . A must see property ! DO NOT RELY ON ZILLOW PROPERTY TAX INFO.